There are some very clever pieces of vocal training software that can really lift your voice to the next level. It’s true that the majority of vocal instructions are most effective in an audio format or one-on-one. However there are aspects of singing that can really benefit from some simple but powerful software programs. So what aspects of singing require vocal training software? Well, first of all, there is one very powerful process that will improve your singing perhaps more than any other. Recording your voice! When you record your voice, you are gaining very valuable feedback on what your voice sounds like from a listener’s perspective. This is very important because you hear your voice completely differently to that of a listener. Why is this? Well, you are hearing your voice from inside your head as well as outside your head. This causes you to hear your voice in a completely different way. Here’s an example that will help you understand further. If your vocal teacher told you to perform an exercise, and demonstrated this to you… you are hearing this demonstration from the perspective of a listener. But when you practice the exercise yourself you are hearing it from the “combination of inside and outside” perspective. How can you do an exercise correctly if you are hearing yourself in a completely different way than the actual demonstration? Well the answer is to use vocal training software to get valuable feedback on your voice. While you are recording your voice, wear headphones and get feedback as you are singing. This is an extremely effective way of fast-tracking your progress. You must turn up your voice LOUD in the headphones, so you are getting just your voice from an “outside” perspective. This way you are hearing your voice as a listener would. You won’t believe how much easier your singing will be after using this technique for a week or so! 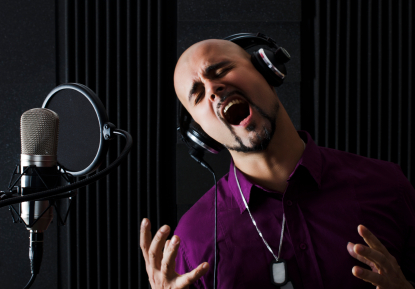 There is a singing package that includes software that will allow you to use this valuable technique in the form of a "mini recording studio". You can easily load this software onto your computer and begin practicing with headphones and gaining valuable feedback on your voice. This vocal training software is actually a bonus to go along with a bunch of very good vocal audio lessons. 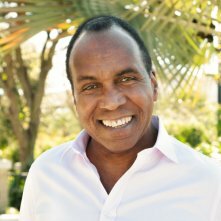 The vocal training software suits the technique that I’ve described perfectly, because it allows you to play scales within the program as you record your voice. This program is definitely worth a few minutes of investigation. To do so, click this link and learn more about this vocal training software.